Hello everybody! I hope that you are well. 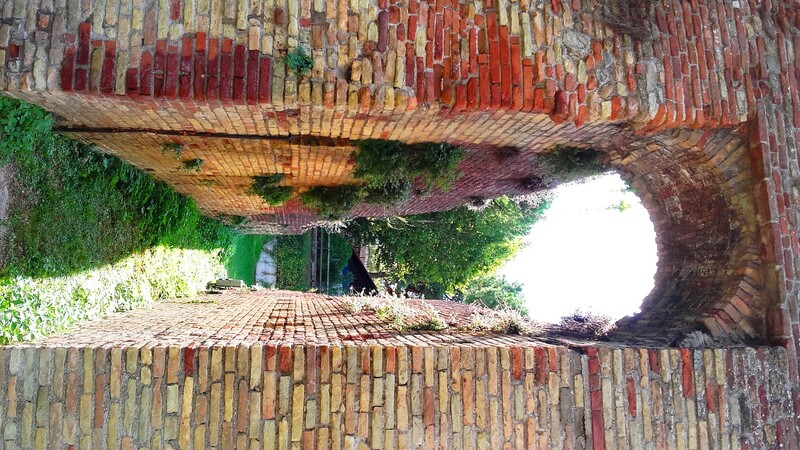 Let me tell you that in my first days in Rimini, I started to walk to the centre and I found a weird park that I didn't know what it was until I got close. 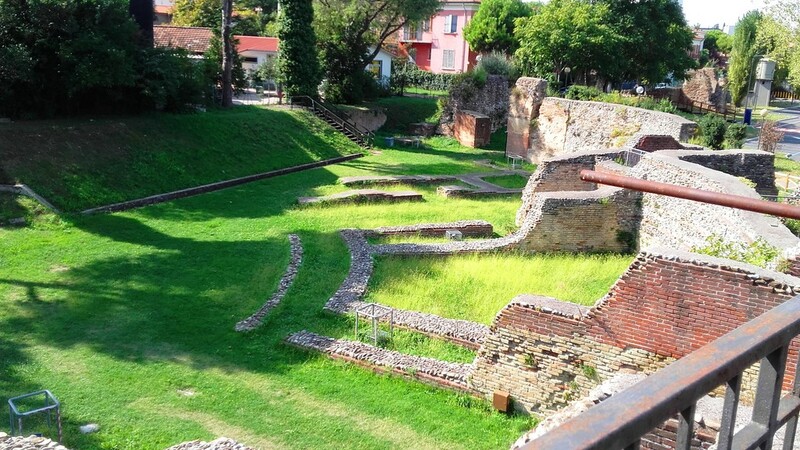 I was able to realise that is was one of the remains of the Roman Amphitheatre that was here in the centre of Rimini. 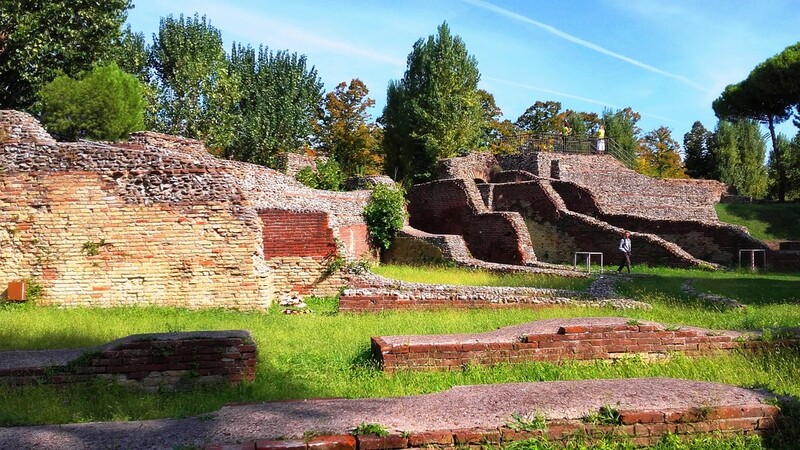 This Amphitheatre was constructed between 119 and 138 ad. It is approximately 117m2 and so I read at the beginning of the year 1843 thanks to a study called Luigi Tonini . Little by little the reconstruction of the floor of this monument began, in its time it was as big as the one that is found in the city of Rome. 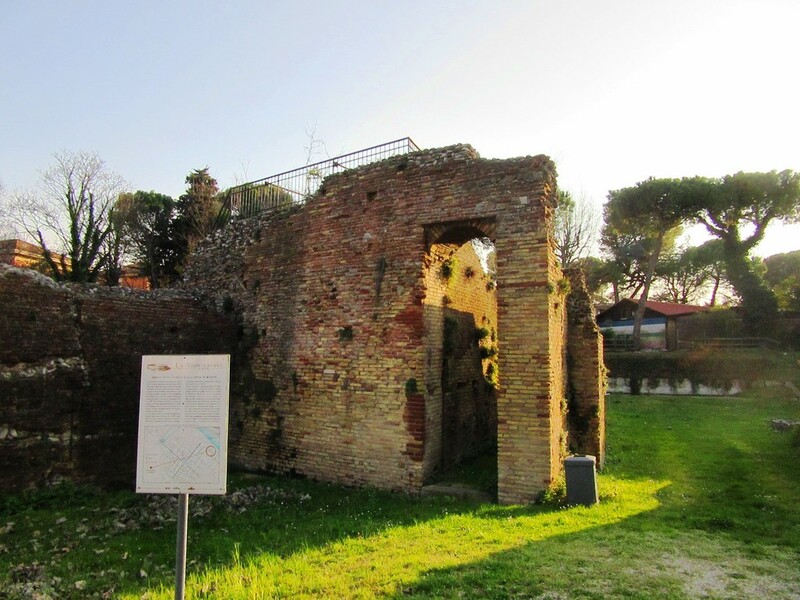 I tell you that Rimini became an important city during the Cesarean period. When I went through the remains, I was reminded a lot about the movie Gladiator seeing this place on a sunny day I could realise how majestic it could have been at the time. This is because the Roman Amphitheatre was the place where the gladiators fought, animals fought and animals and men fought each other! In addition, the public could participate in these activities by moving their thumb upwards to indicate victory, while putting their thumb down represented defeat and certain death for the gladiator. Without a doubt, a gladiator was a person with a lot of physical resistance. In general, they were slaves or prisoners that were selected to compete in this type of "spectacles for the Rimini population in those times. On the other hand, I tell you that this center was destroyed during the Barbarian invasions and today there are only these remains that I want to share with you so that you can also get to know them. Additionally, as I said, this is a public place and you don't have to pay to enter. To be honest, I found the grid door semi-open and went in to take the pictures! Without asking anyone's permission! I also saw others doing the same thing. 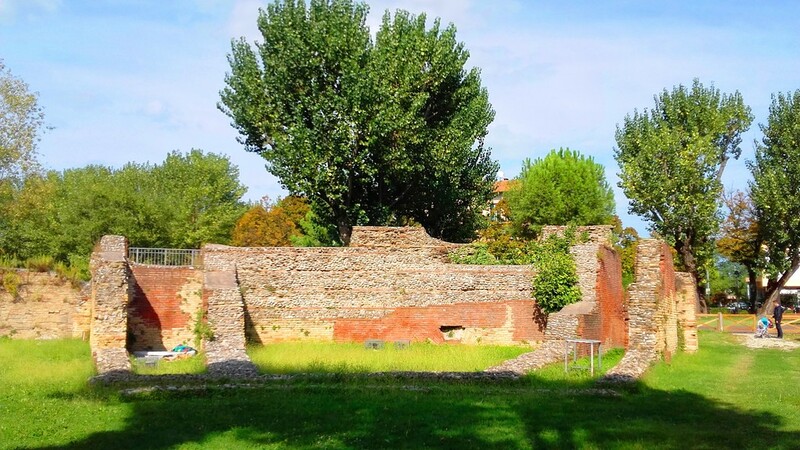 At the time when Rimini's amphitheater functioned, gladiators were divided according to their category and these were recognised by the type of weapons they could carry, those who had the heaviest and most striking armor were known as the "Sanniti" those who had a short sword: Gladium. Another thing I read was that in those times the shows started very early and even had a break at lunch time and then they would decide on the life of the gladiators. These games depicted the passions of the population and was a way to "distract" people in Roman times. These games were organised by people with a lot of money and those that donated were known by the name of "Munera". They were planned for festive dates when the population waited with anxiety when that moment arrived, where the blood ran, and the people laughed! Different times! All this information is a summary of what can be found on the entrance panels of the remains of the amphitheater as it is not a museum it is just part of the route you can not do on foot through the city center, the information is only in Italian so I have tried to summarise them so you can also understand it when you pass by. Just in front of the remains of the Amphitheater, you will find some chairs so if you also feel if you want to read a book, I began to read my book while I appreciated this archaeological center for a moment. As a reference, this centre is leaving from the train station to the left hand side you are going to find a two-way avenue, cross that avenue and on your right hand side you will find it. I encourage you to explore it! I'm sure that you will have as good of a time as I did. Thanks for reading this commentary! Until next time. Do you know Amphitheatre? Share your opinion about this place.